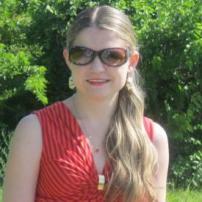 Meagan J. Meehan is a published author, poet, cartoonist and produced playwright. She is also a stop motion animator and an award-winning abstract artist who previously wrote for the Examiner and had 1,933 articles to her name. Meagan holds a Bachelors in English Literature, a Masters in Communication, and is presently pursuing a PhD in Educational Psychology. She is an animal advocate and a fledgling toy and game designer.